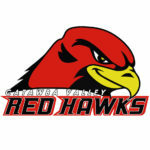 HICKORY – Catawba Valley Community College (CVCC) has scheduled tryouts for women’s softball. The Red Hawks will take a look at local prospects from 10:30 a.m. to 12:30 p.m. on Saturday, with tryouts open to anyone who has completed their junior year in high school and has remaining eligibility. To participate in the tryouts, prospects much provide a signed sports physical from the past 13 month and dress in a t-shirt, softball pants and cleats. Interested players should also bring a batting helmet and gloves and a bat to the try out. No food or beverages will be provided but players can bring snacks and water. For more information, contact CVCC head softball coach Josh Bumgarner at jbumgarner918@cvcc.edu.